If you’ve seen a Hudson County political war, you’ll know the fight to dump Hudson County Executive Tom DeGise isn’t one of them – at least right now. It’s really just a warette. The last real war was in 1987. There was a Democratic primary for county executive, but it was really about control of the Hudson County Democratic organization and a move toward a new generation of leadership. Edward Clark, a former Bayonne freeholder became the first county executive after the office was created in 1975. 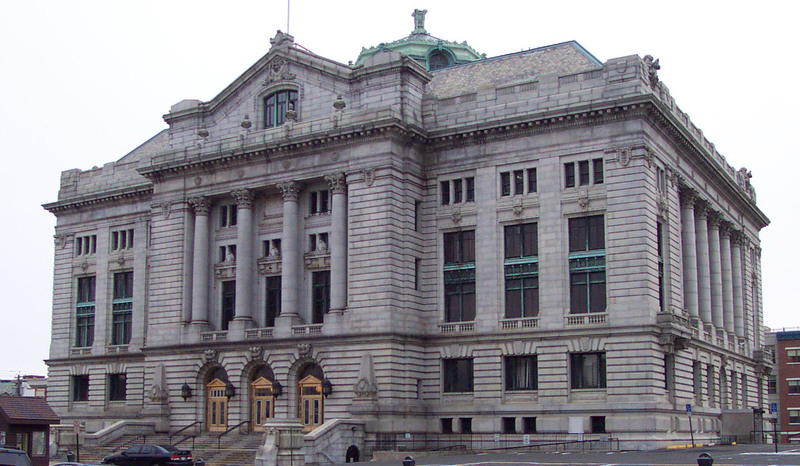 In 1987, he faced a primary challenge from Robert Janiszewski, a former Jersey City Assemblyman who had been dumped from the organization line four years earlier. To understand the cause of Clark’s dethronement, you need to go back just a couple of years and understand the changes among the Hudson mayors. That’s the real power base. In Jersey City, Gerald McCann was elected mayor in 1981 when Tommy Smith ran for governor. His victory over Smith’s hand-picked successor led to the collapse of the Smith statewide campaign. McCann was ousted by Anthony Cucci in a bitter 1985 race. Billy Musto, the legendary Union City mayor and state senator, was convicted of racketeering and extortion in 1982 and still won re-election as mayor in an election held the day after his sentencing. He defeated a young reformed named Bob Menendez, but a judge later forced him out of both offices. In 1986, Menendez was elected mayor on a slate that swept the May Union City elections against a ticket of old Musto backers. Weehawken Mayor Wally Lindsley was convicted of extortion in 1983, and Stanley Iacono replaced him. That’s when a new political player arrived on the scene: Richard Turner, a state Department of Community Affairs employee from Hazlet who was dispatched by the Kean administration when the state took over Weehawken’s financed to save the town from bankruptcy. Three-term Hoboken Mayor Steve Cappiello lost re-election in 1985 to Thomas Vezzetti, a peculiar born-and-raised Hobokenite who opposed gentrification and incited racial tensions. North Bergen was run by the Mocco brothers: Peter was the mayor before being ousted by Anthony DeVincent in the 1979 warette, and Joe was the mega-powerful township clerk. DeVincent was ousted in 1985 by Mocco ally Leo Gattoni, who at age 74 led an insurgent slate to take out DeVincent in a recall election. Nicholas Sacco, a popular school principal, would win a race for North Bergen Commissioner as part of the Gattoni ticket. In 1987, ten of Hudson’s twelve mayors joined together to dump Clark and replace him with Janiszewski, who was twenty years younger. The mayors broadcast their position early to convince Clark that it was time to retire. Only Bayonne Mayor Dennis Collins – also the Hudson County Democratic Chairman – and Gattoni stuck with Clark. But Clark refused to go. While Janiszewski had the mayors, like Cucci in Jersey City, Menendez in Union City, Vezzetti in Hoboken and Anthony DeFino in West New York, Clark had the omnipresent remains of those on the outs in many of the Hudson towns. Collectively, they were still a force. The war included full slates for State Senate, Assembly and Hudson County Freeholder. Incumbent State Senators Thomas Cowan (D-Jersey City) and Christopher Jackman (D-West New York) ran off the organization line with Janiszewski, since that’s who their mayors were with. State Sen. Edward O’Connor (D-Jersey City), whose district also included Bayonne, ran with Clark; so did Assemblymen Joseph Doria (D-Bayonne) and Joseph Charles (D-Jersey City). Janiszewski won the primary by ten percentage points, 31,840 to 26,120 (55%-45%). Clark carried only Bayonne and North Bergen. His campaign manager was Paul Swibinski. The incumbent legislators prevailed, albeit narrowly: O’Connor defeated Jersey City Council President Glenn Cunningham by 1,049 votes; and Cowan edged out former Assemblyman Paul Cuprowski by just 529 votes. The exception was Jackman, who bested former Assemblyman Robert Ranieri by a 2-1 margin. Menendez ran for Assembly on the Janiszewski/Jackman slate and won his primary by more than 4,000 votes. The Hudson War of 1987 pushed the reset button on county politics for another generation. Editor’s Note: An earlier version of this story identified Edward Clark as a former Mayor of Bayonne. He was a Hudson County Freeholder and his father had served as Mayor.